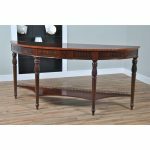 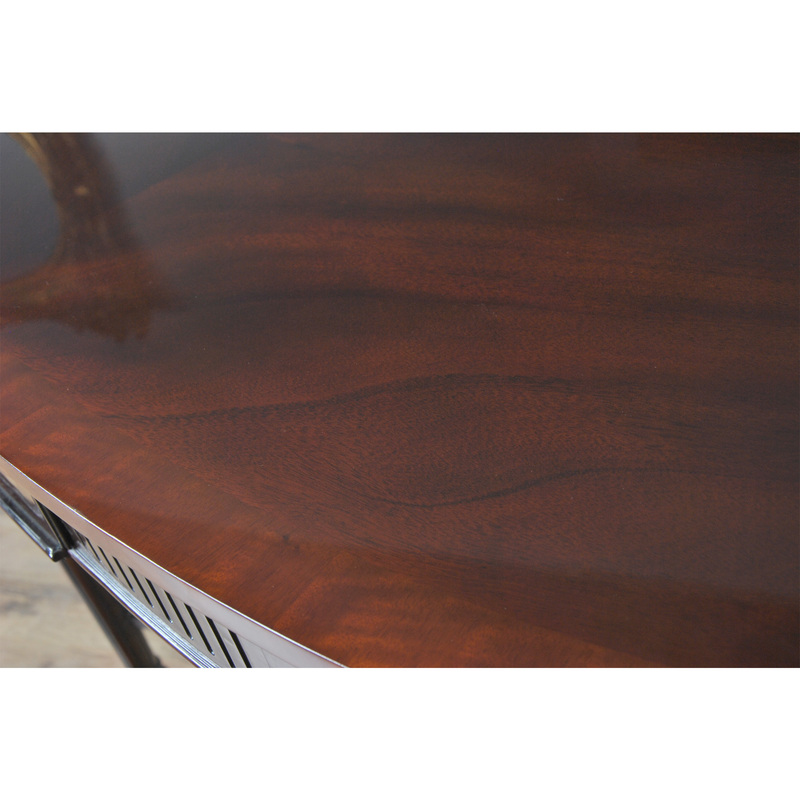 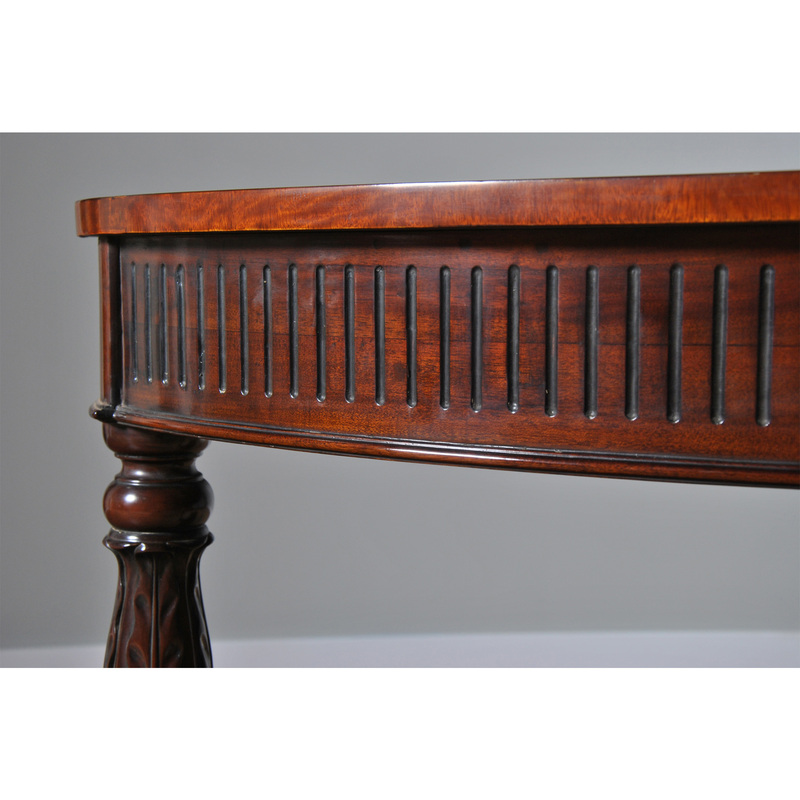 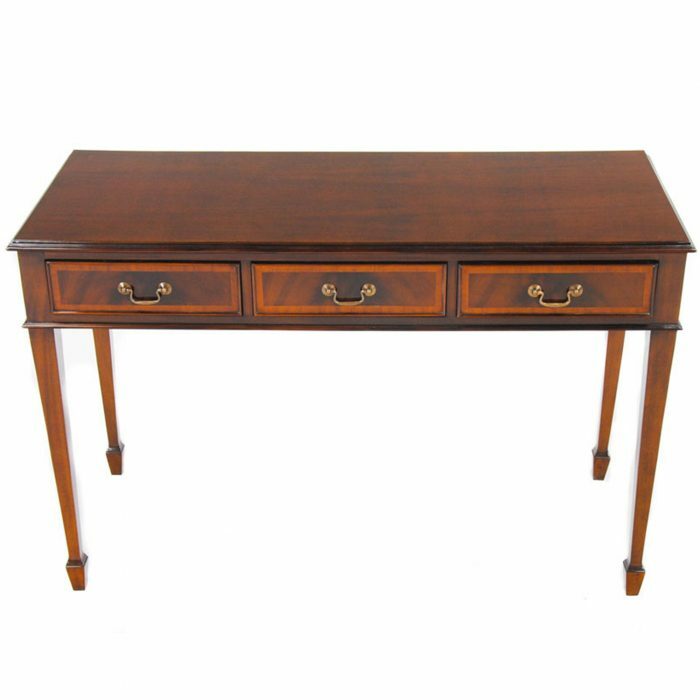 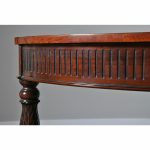 An outstanding, high quality Long Mahogany Console by Niagara Furniture. 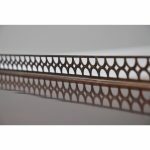 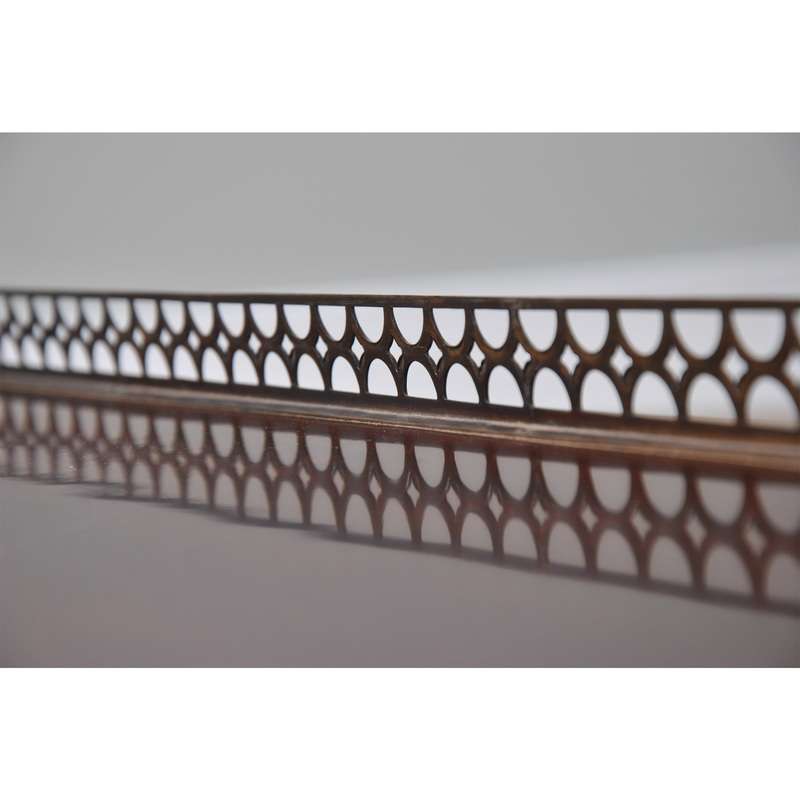 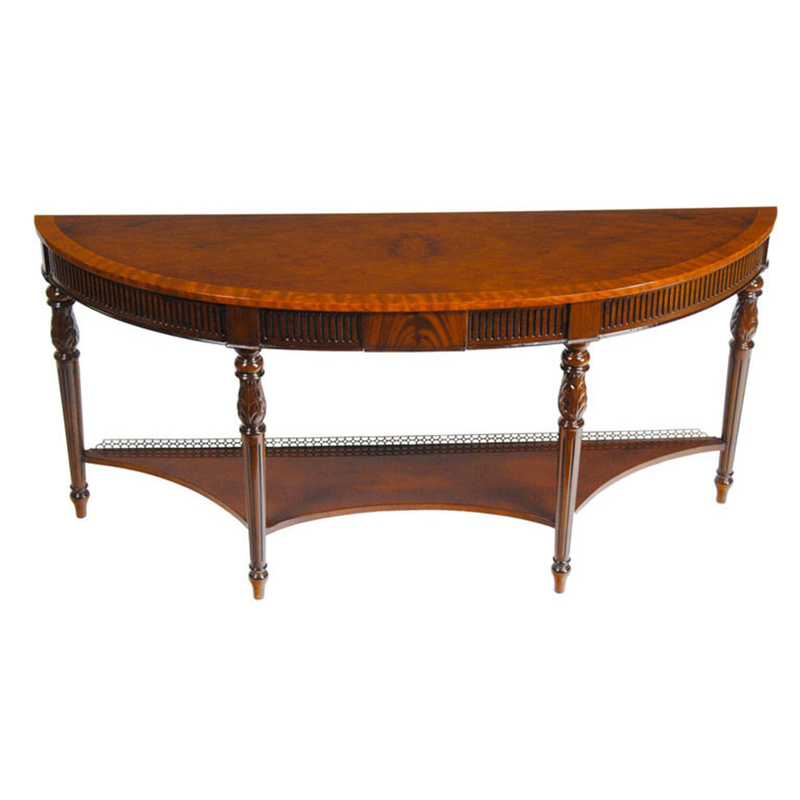 The Long Mahogany Console with Brass Gallery also makes elaborate use of inlays, carvings and trim. 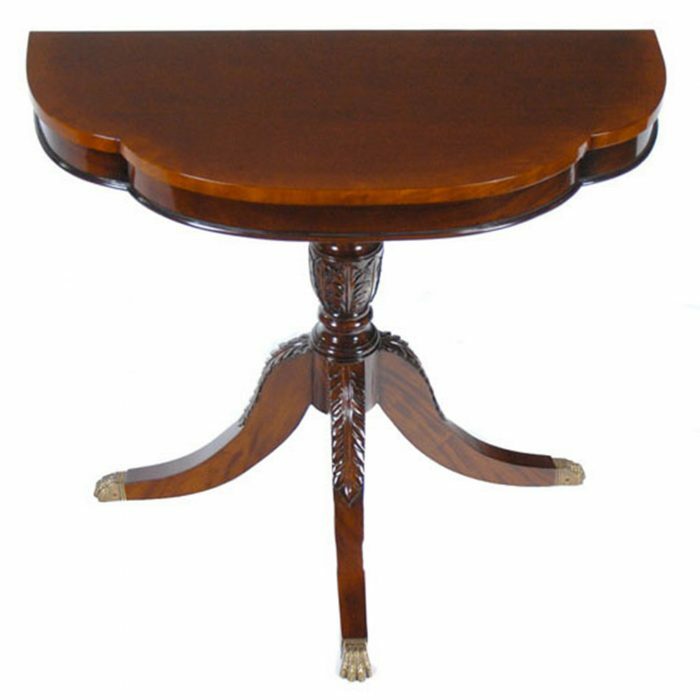 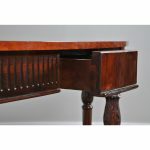 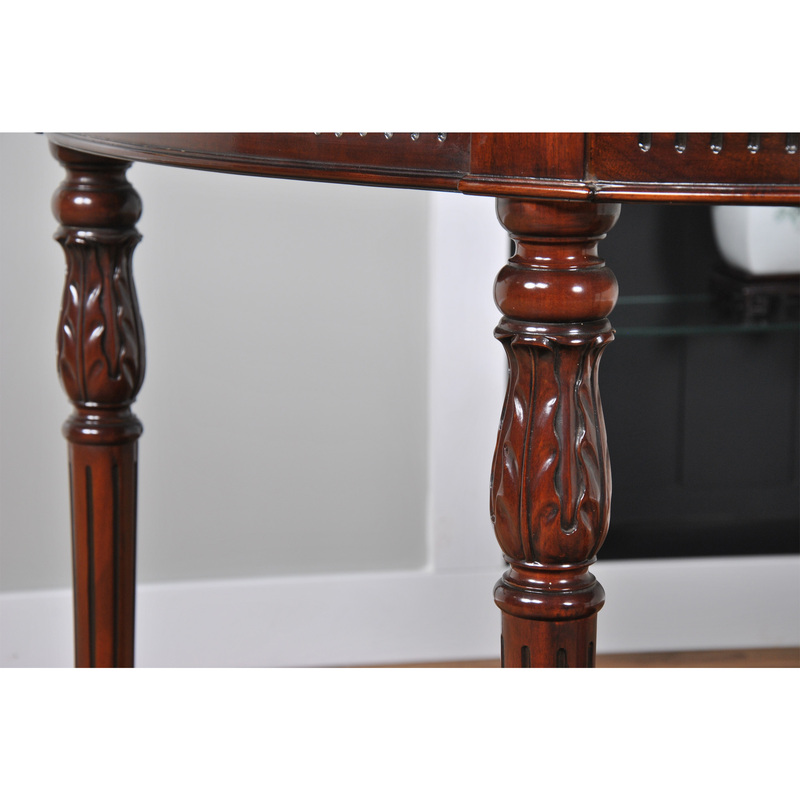 The mahogany top is banded with satinwood, the four legs are made from plantation grown solid mahogany and each leg features gorgeous acanthus and reeded carvings, all done by master craftsmen, all done by hand. 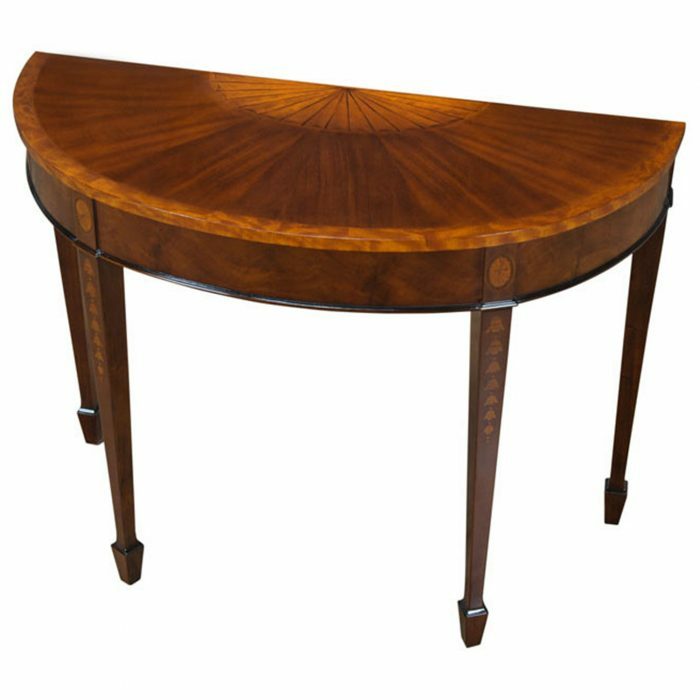 The center of the table also contains a small drawer. 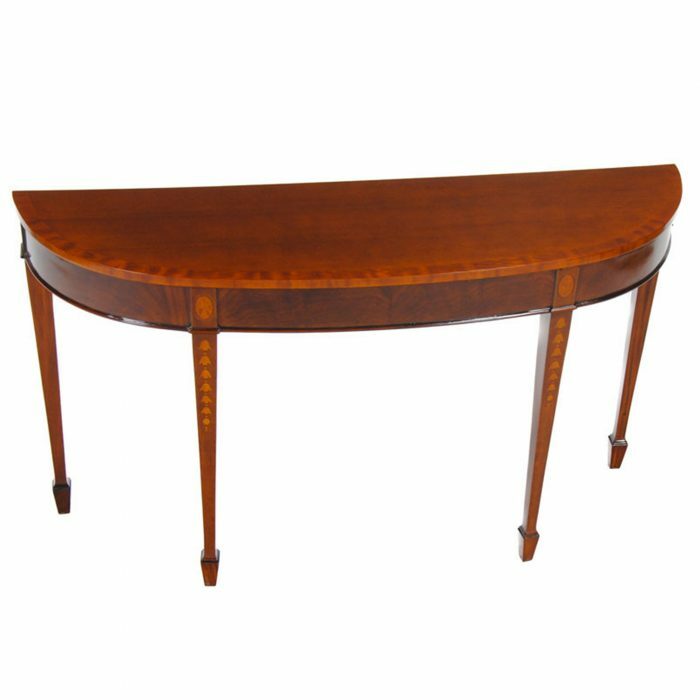 This Long Mahogany Console table is the perfect size for use in a large front hallway, a dining room or any space that requires a decorative and functional object of beauty.